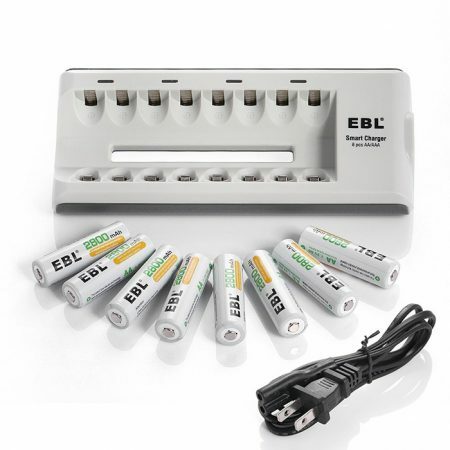 EBL AAA Ni-MH 1.2V 1100mAh rechargeable batteries (4 Counts) and EBL AA AAA Ni-MH Ni-CD rechargeable battery charger. 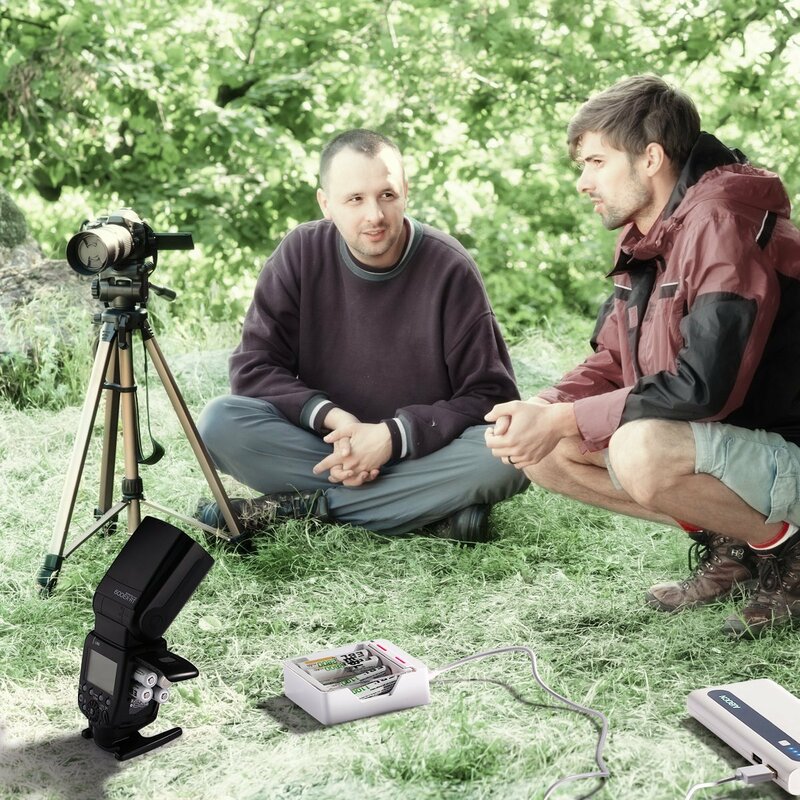 Low self-discharge batteries will remain 85% capacity when they are not in use for 1 year. 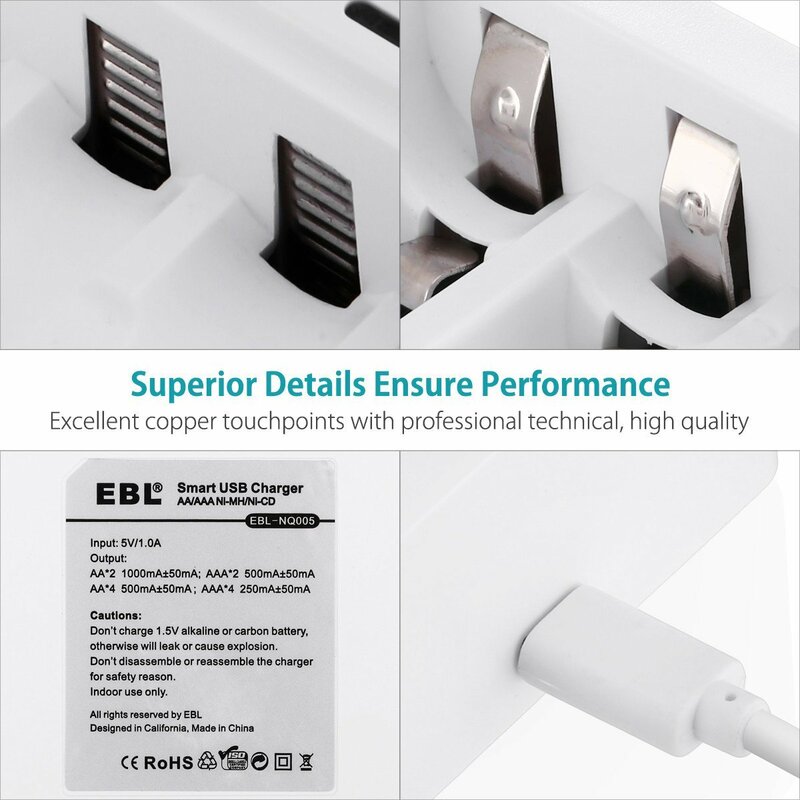 The charger has a unique USB design. 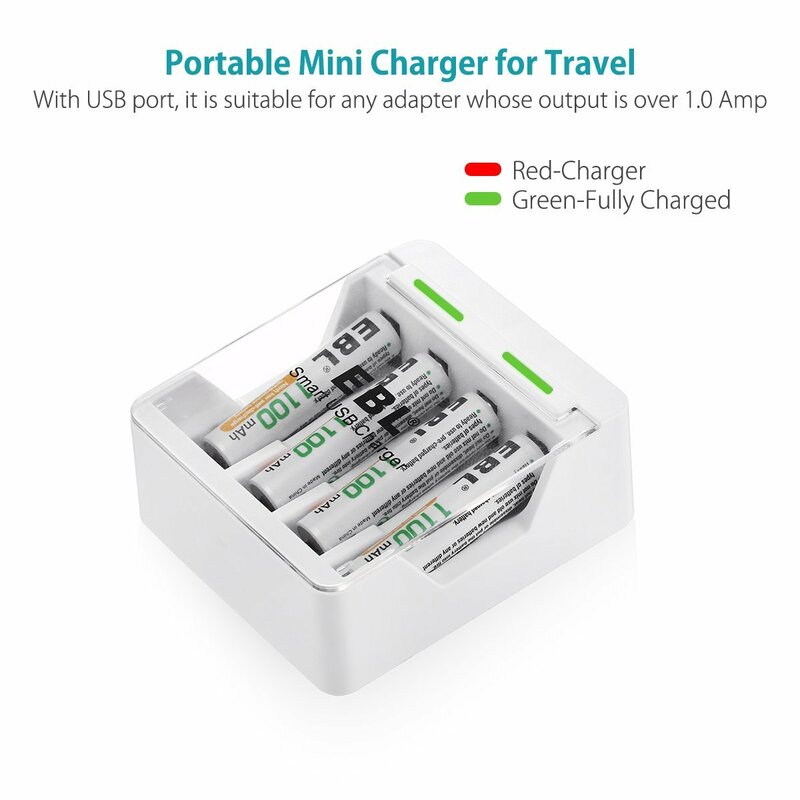 It’s convenient for traveling and widely compatible with 5V USB-enabled devices like power bank , adapter etc. 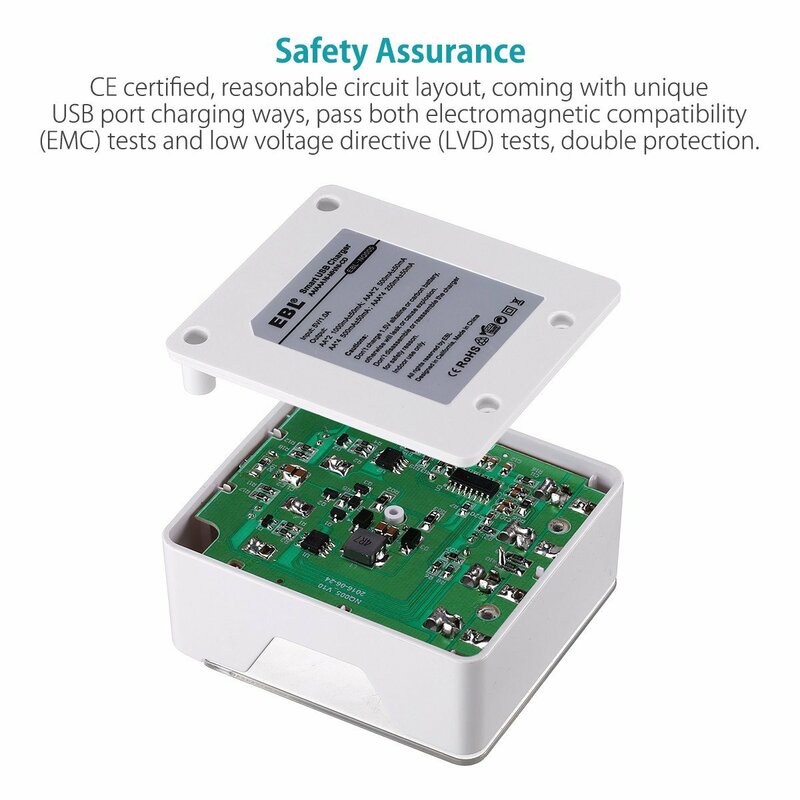 Advanced MCU control system, intelligent △V and -△V cut-off charging method and automatical trickle charging mode prevent over-voltage, over-current and over-heating. Smart indicators: The charger has smart LED indicators to show battery charging status: RED for charging, GREEN for fully charged batteries. 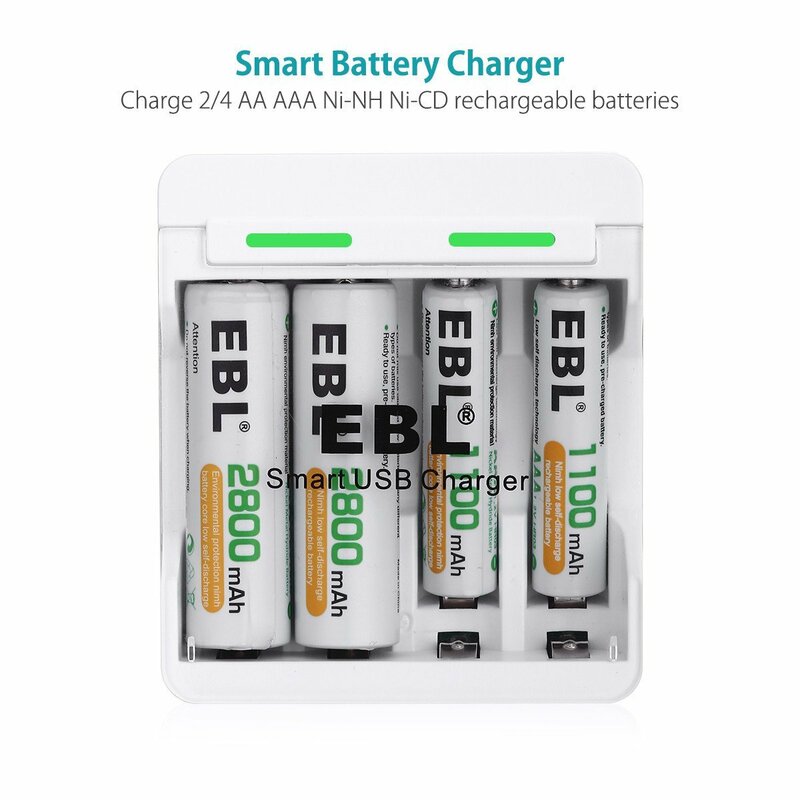 AA AAA Ni-MH Ni-CD Rechargeable Batteries. 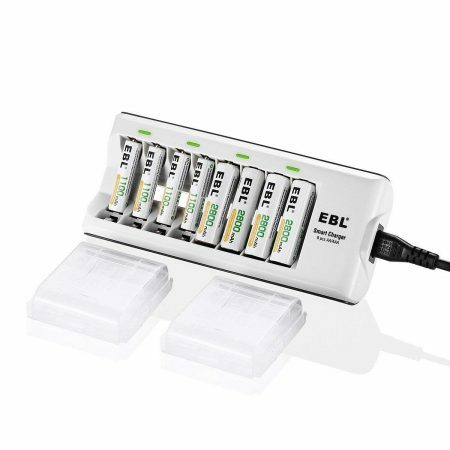 This EBL Smart USB AA AAA Battery Charger is designed to be compact and portable. 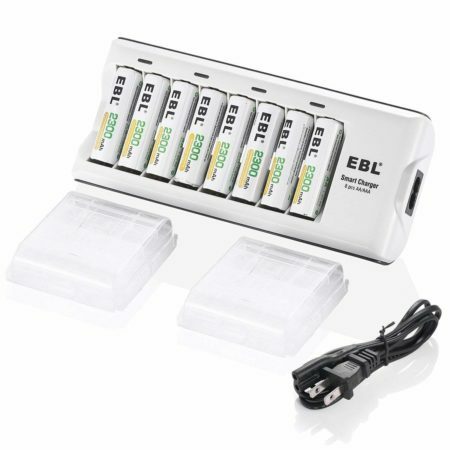 It has 4 charging slots for AA AAA Ni-MH/Ni-CD Rechargeable Batteries. 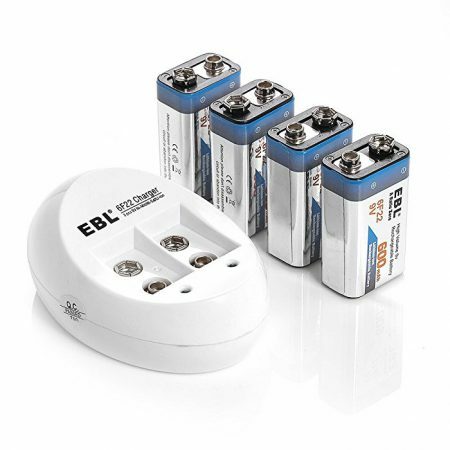 It’s engineered with advanced MCU system, reliable protection against short circuit, reverse polarity, over heating, overcharge etc. 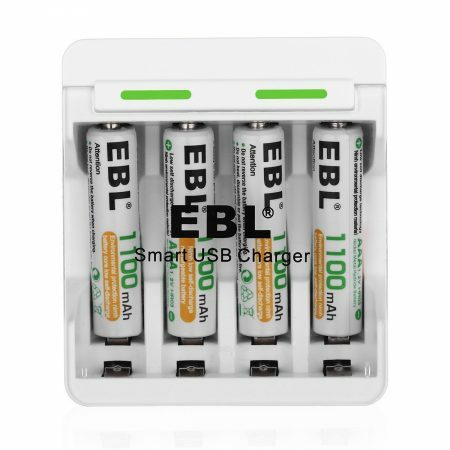 The 4-pack 1.2Volt Ni-MH 1100mAh AAA Rechargeable Batteries come in handy, precharged 15%~20% of capacity by solar energy. 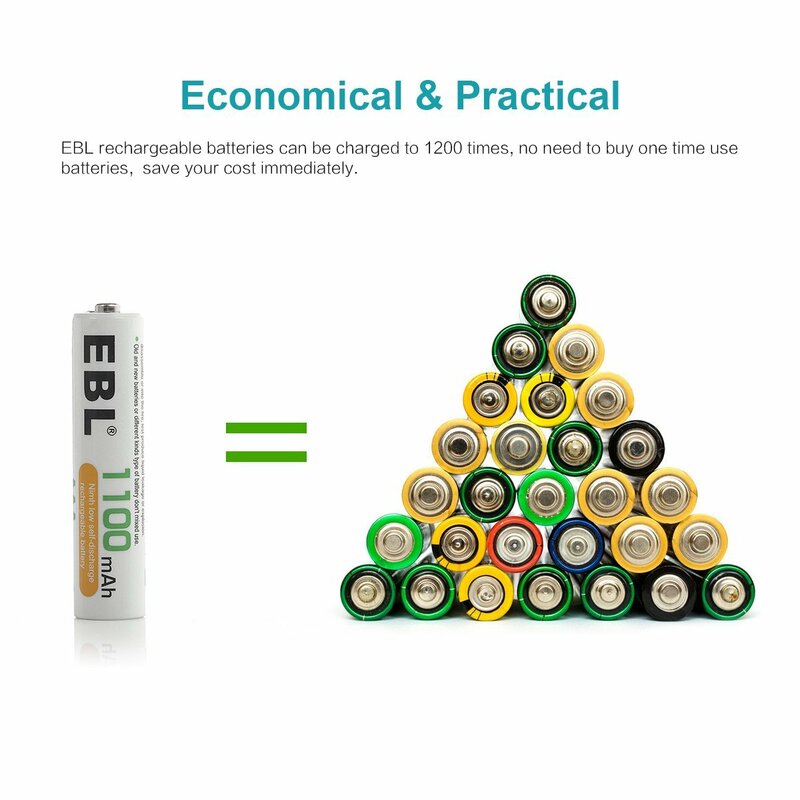 These environmentally friendly rechargeable batteries have no Hg/Cd/Pb.